A couple of years ago on a trip to Haiti, I heard about Diner en Blanc. At the time, all I knew was that this was a picteruresque event that brought the best people together to celebrate culture and community. This year I was honored to be invited to join the activities at the Chicago event. I will admit that It took me a while to figure out what to wear, what to pack and what to bring. I had to stylishly carry it all!!! 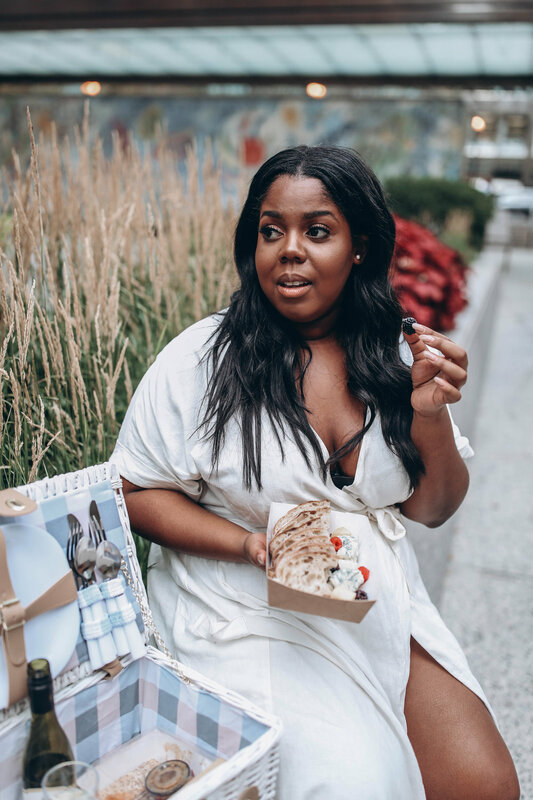 I knew I had the outfit part down, and finding the perfect food pairing was just as easy thanks to the folks at Fairmont Chicago's new Picnic tote packages. They provide chef curated menus that are perfect for events such as Diner en Blanc but also concerts, movie dates and a simple afternoon in the park!!! Classic Park Tote for Two - $39: Small Bottle of Red or White Wine, a Small Baguette, Grapes, Cucumbers, Carrots, Hummus, Assorted Cheese and Bottled Water. 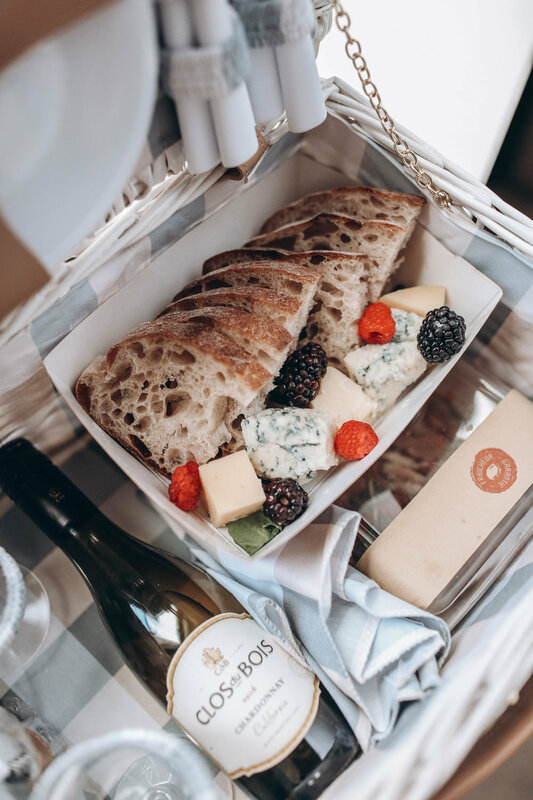 Deluxe Park Tote for Two - $59: Small Bottle of Red or White Wine, Charcuterie (Two Meats, Two Cheeses - Chef’s Choice), a Small Baguette, Assorted Olives, Columbus Tap Shredded Chicken Salad, Dessert and Bottled Water. Champagne Park Tote for Two - $79: Small Champagne Bottle, Assorted Tea Sandwiches, Chocolate and Strawberries, and Bottled Water. 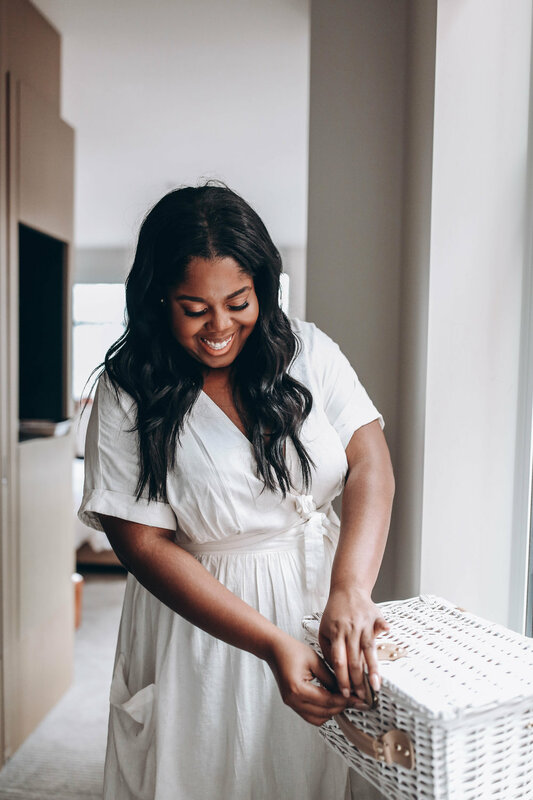 Have a look at the amazing meal I put together and take a look at all the white outfits I considered. 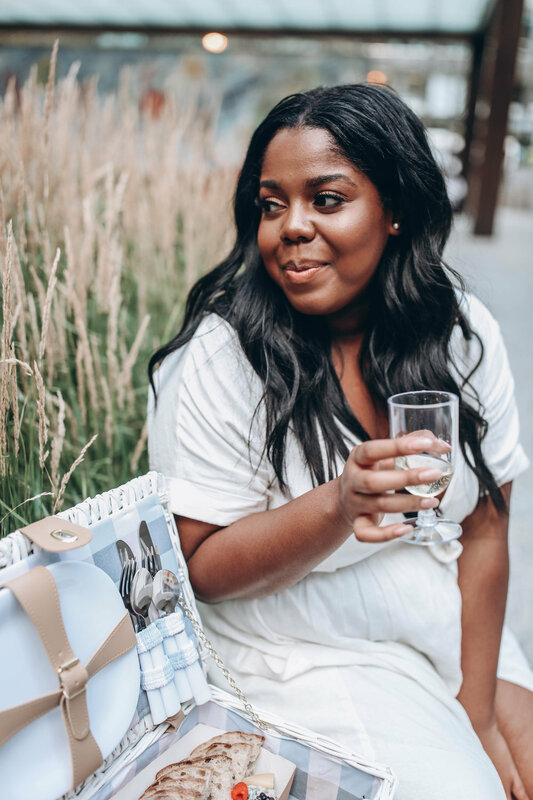 And as a quick reminder, please enjoy your wine from the Picnic tote before Diner en Blanc as alcohol is not allowed to be brought into the event. Tune in tonight for a full reveal of what I ended up wearing!